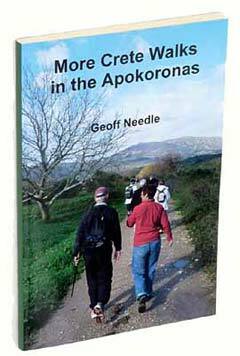 The Apokoronas region of NW Crete is small in size compared with the whole of the island but has areas of great diversity that make it a good place for walking. The 25 walks in this book go to different parts of the region to experience this wide diversity. The region includes the resorts of Kalyves, Almeryda, Georgiopoulis, Dramia and the village of Vamos. The walks are intended for the average walker, whether tourist or local resident, who wants to stroll in a quiet area of the local countryside. They are not long hikes. They are "family friendly" walks. The character of each walk, its terrain and directions to the starting point are briefly described, and the length and approximate walking time are given. Directions are given in clear detail. There is an introduction section giving information about many aspects of life in the region, notes on how to understand and use the directions, notes on how to keep safe when on the walks, and over 70 black and white photographs relating to the walks. The Apokoronas region of North West Crete has some super beaches, quiet countryside, small villages and high hills overlooked by the White Mountains. 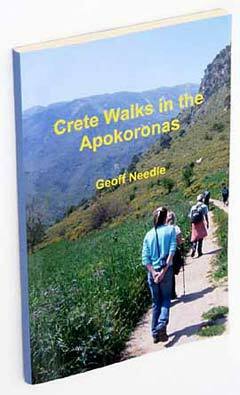 This second book describes another 25 walks around many of those different parts of the Apokoronas region, and a little way beyond. There are more walks into the foothills of the White Mountains that are more challenging but reward with fabulous views of the countryside below and into the distance. One walk goes down the picturesque Imbros Gorge and another goes around the best parts of Argyroupolis (Ancient Lappa). Many of these varied walks would again suit to the casual tourist who wants to explore the quiet countryside of the area, whether along easy or more demanding routes, and also others who would like to get to know the hidden parts of the area a little better. The length of each walk, its terrain and approximate walking time are given before their detailed directions. These are accompanied with 80 black and white photographs.